Today we try out a new segment where we take a random Twitter hash tag and use it as our own. 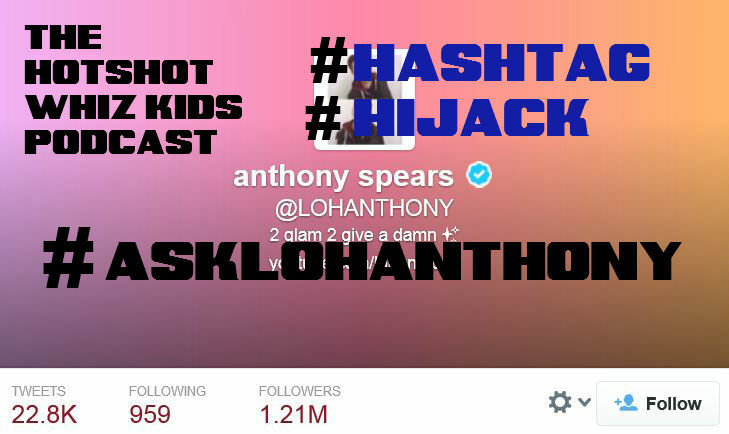 This time we Hijack the hashtag #asklohanthony. At first we were unsure on who hell this even was. As it turns out he is some supposed YouTube and Tmblr celebrity with nearly a million subscribers on YouTube and over a million followers on Twitter. Millions of pre-teens, teens and disturbed adults tweet this 8th grader and watch his horribly uninteresting videos. Why? We may never know, but here is a podcast where we answer some of his fans most hard hitting questions.